Over the next couple of weeks, every blogger and their mother will pen a post with their 2013 predictions. This is not that post. 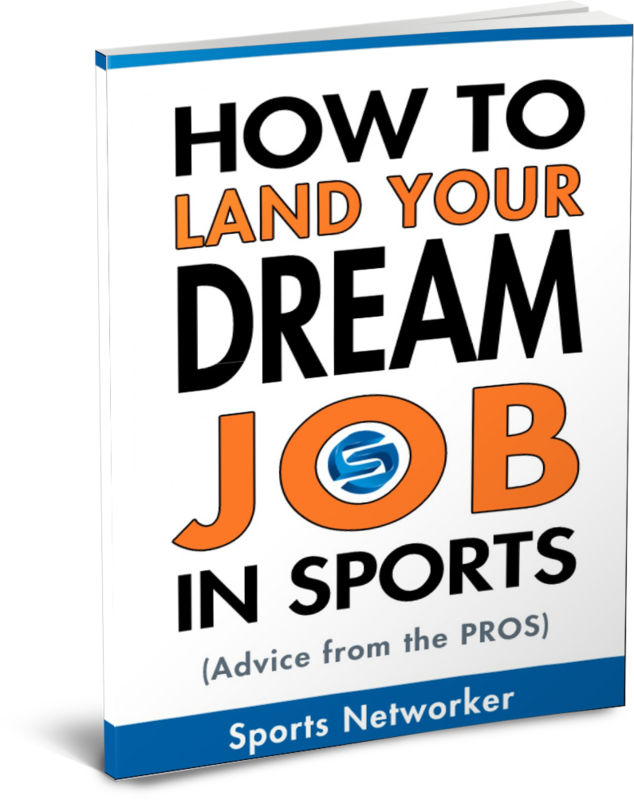 Those interested in landing a sports job (or any job for that matter) must be forward thinking. They must have an educated guess on what is going to happen next and why the events of the future will be shaped by the past. When first introduced, all four of these concepts were well ahead of their time. And due to shifts in technology, or a simple adjustment to their business model, all will play a very real role in how we consume sport in the immediate future. It’s hard to predict the future, but here is how it should play out. Since the dawn of Al Gore’s Internet, live television has tried to connect the gap of humanity between itself and the computer. (Remember ABC’s Enhanced TV? That was 1999!) Then Twitter came along, took ESPN’s Bottom Line, tied it to our mobile devices and placed everyone we could possibly care about within an arms length. It isn’t just social networking sites that have turned a 15+-year vision into reality; mobile devices are now powered by more technology than what took us to the moon. I was on our team bus headed to the airport after a game in Nashville watching the Final Four on my iPhone. Those around me were amazed. Social television is still in its infant stages, but it is about to become VERY big business. Companies are starting to mine for social data and combine them with the precision used to measure broadcast metrics. 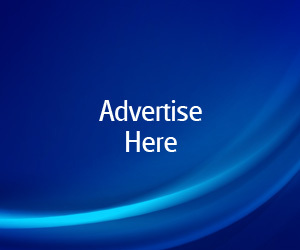 If you are a brand who is advertising during Super Bowl XLVII and you don’t have a supplemental media buy scheduled for Facebook and Twitter, you aren’t leveraging the maximum reach of your ad. You could reach your viewer twice, on two different platforms, in a matter of seconds. Regional Sports Networks (RSN’s) will be the big winners as the concept of social television picks up steam. They will be able to present new decks of advertising, far more interactive than anything ever presented to a client. They will have the opportunity to activate with more than just overlay graphics and studio features, but through in-game trivia, ‘Tweets of the Night’, even a sponsored bottom line utilizing viewer comments. And those are three easy ideas that can be implemented immediately with no cost to execute. You’ve seen companies like Fanfoto in stadiums across the country, taking pictures and pestering consumers while trying to make an honest buck. They get the snapshot, give you a card and the consumer heads to a website where they can order fancy apparel that allows them to relive their experience. I’m sad to report that those photographers’ jobs are in danger, to be replaced by the advancements in technology on the cameras of our phones. (Many reporters are using iPhones in the locker room to shoot web-quality video now)Mind you, I can already take a picture of slightly lower quality, alter it on Instagram and brag to my friends about being at the game in less than 30 seconds for free. It just hasn’t been monetized by the venue yet. On-concourse photo booths, or photo stations with sponsor backdrops should already exist in many venues. (If they don’t, what are your sales people doing?) But we’re very close to a point where fans can take photos, tag themselves to a social networking site and immediately, walk on over to a concession stand where they can buy a high-quality glossy photo, a tote bag, a tee-shirt, or even a pillow with that image on it. How’s that for immediacy? The single most important rights deal in American television; NFL Sunday Ticket’s exclusivity to DirectTV has created a monopoly of content that separates the company from the pack. You want to be a Bills sports bar in San Francisco? You need DirectTV. You want to watch every NFL game live, as it happens? You better have Direct TV! You have Comcast? Well, we have a problem. How big of a problem? Fans are suing leagues over broadcast rights and TV packages. Like, right now, at this very second! Forget what’s going on with the NHL right now, that’s mere entertainment compared to the courtroom/backroom drama that could have the biggest impact on fans. NFL Sunday Ticket (and to a lesser extent MLBTV) represents the tug of war between consumers and their cable providers. RSN’s, profiled earlier in this piece, command hefty subscriber fees for ALL cable customers, including those with no vested interest in sports. This, while companies like Hulu and Netflix have deemed most non-live TV programming obsolete, at least in the sense of gathering the family around the tube for something that they’ll be able to get online 24 hours later. What happens if those users without a rooting interest ditch the likes of AT&T U-Verse and Comcast? What if they opt for more simple, non-premium tiers of channels? Will fans pay more to watch their favorite teams play? Will we see more a la carte offerings like we do with NFL Sunday Ticket, MLB Extra Innings / TV and NHL Center Ice? Will those packages even exist with pending lawsuits against them and the leagues? Will we see a Pay Per View structure, which has worked well for boxing and wrestling? The entire business model of broadcast television could change in a very short period of time, impacting everything from rights fees, to limitations on what fans can and can’t place on YouTube. Hypothetically speaking, if NBC is paying more than a billion dollars to broadcast the Olympics across multiple platforms, it is safe to assume that the network will do everything in its power to protect its investment, as it should. If you are a stickler for grammar and AP style, you won’t like what I’m about to tell you. The aesthetics of great content have taken a back seat to entertainment value. Sure, there is a time and place for more traditional forms of journalism, but they don’t kill time in the 24-7-365 era of content consumption. And while media die-hards grasp to the last bastion of their dying utopia, they’re being attacked from outsiders who understand what drives an audience. Before Barstool Sports took their act online, a site called Boston Dirt Dogs (BDD) was all the buzz amongst the city’s 18-35 year-old male demographic. BDD was well ahead of its time, merging short witty headlines with memes and Photoshop images, giving readers tabloid-like coverage of their favorite team. Most impressive? Facebook, Pinterest, Instagram, Reddit and Twitter hadn’t even been invented yet! We were still venting our feelings on Live Journal for crying out loud! Boston Dirt Dogs was so popular, it was eventually acquired by Boston.com, which is tied at the hip with the Boston Globe, who just happened to be the minority owners of the Boston Red Sox. You can’t blame Steve Silva, the site’s creative genius, for selling out, just like your favorite band did when it went mainstream. Though the site was never as popular as it was before Boston.com acquired it. When Dirt Dogs went corporate (as far as a blog is concerned), Barstool Sports took its spot atop the water cooler throne. The best way to describe what founder Dave Portnoy has done is to call it the internet’s own version of Seinfeld. It’s a blog about nothing … and yet speaks so perfectly to every facet of society at the same time. Other sites, including Deadspin and With Leather, have tried to adopt a similar strategy, but nobody covers as much pop culture and not-so-serious news ground as Barstool Sports. Sponsors have willingly bought into Barstool’s cult-like following, with integrated content and promotions like Milton’s (a clothing store for men) Pimp My Look, and specialized Fan Duel leagues. As far as publicity is concerned, readers are proudly rewarded for getting the site’s unofficial motto ‘Viva La Stool’ on broadcast media by any means necessary. (I.E. Guerilla Marketing) And the company has made quite the niche for itself as an events firm, hosting ‘Blackout’ parties in college towns from coast-to-coast. Ask any aspiring media member what they think of Barstool Sports and you’ll get a rant on how they signal the end of journalism. Though a profession hemorrhaging losses while trying to create new sustainable revenue streams shouldn’t be throwing stones at glass houses. They already tried … and failed with Bill Simmons. FACEBOOK CONTEST: Who Are The Most Influential People In Sports Business in 2012? Hi there to every body, it’s my first pay a visit of this weblog; this webpage consists of awesome and genuinely fine information designed for visitors. I wonder how a lot attempt you set to create any such wonderful informative site. I always emailed this webpage post page to all my friends, because if like to read it then my contacts will too. you desire to say about this article, in my view its in fact remarkable designed for me. It’s an amazing article for all the online users; they will get advantage from it I am sure. You actually make it appear so easy together with your presentation but I in finding this matter to be actually one thing which I believe I might never understand. it is triggered by the passion displayed in the article I looked at. And on this article Four Future Trends in SportsSports Networker. or does it appear like some of the remarks look as if they are coming from brain dead visitors? doctor. We got a brightlycolored box of cereal with every flavor. as used more than others with very great success in carp baits:. Styrofoam is generally white no matter where you go, although some aircrafts do use shipping boxes that have been constructed out of Styrofoam and they are green. HPis considered as the education facility to the HP2-Z08 Test. store, workgroup collaboration, smartphone integrations and various other factors. designed for unpaid caretakers that are working together with services over and above properties. Cuando pruebo un conjuro siempre tiene efecto sin problemas. ¿Existe algun tipo de problema? you just need to take drops timely and live the way you are doing. you need to invite me over. hopefully lead to a better performance from employees overall. with simply traceable and immediately offered resources. that power. Berkeley has an assortment of restaurants, spas and boutiques, mostly centered on Tennyson Avenue. i am happy to convey that I’ve a very excellent uncanny feeling I found out just what I needed. Hi there colleagues, how is everything, and what you want to say about this article, in my view its actually amazing in favor of me. Se recomienda el consejo de un hepatólogo.